They include "groundless detentions, provocations on border, non-admission of consuls". Visiting Russia can be risky for Ukrainian nationals, the director of the Ukrainian Foreign Ministry's political department, Oleksiy Makeyev, has said on Twitter. "It is dangerous for Ukrainians to visit the Russian Federation: groundless detentions, provocations on border, non-admission of consuls…," Makeyev said. Ukrainian journalist Roman Sushchenko was detained in Moscow on 30 September after he arrived there on a private visit. The Russian Federal Security Service (FSB) said Sushchenko was a "colonel and career officer of the Ukrainian Defence Ministry's main intelligence directorate". 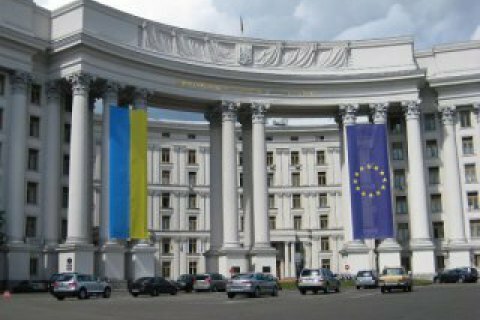 The Ukrainian Foreign Ministry protested resolutely against his groundless detention while parliament speaker Andriy Parubiy suggested introducing visas for Russians. In August, the Foreign Ministry said the cases of Ukrainian nationals' detention on made-up charges of drug dealing had become more frequent.